I never believed i could Earn Money Online in a fast and legitimate way without paying a dime for some useless e-books or online marketers but working seriously online.There are genuine fast ways to work and earn money online which am going to list as you read on. 5. Fiverr : fiverr is a site where you could make money based on your services inform of gigs. you list you gigs on the site that is what service you could render and get paid based on the amount of gigs delivered successfully. Many people are making money on fiverr really quick and fast, you only try as much as possible to make gigs on what could help solve a proble and get paid. See trending ways to Earn from Fiverr. 7. Affiliate Marketing : this is a real and fast way to earn money online because it involves picking another person's product link and pasting it directly on your blog where you make money based on traffic and sales obtained from your site. 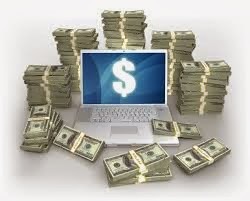 This is one of the best and highly rated kind of Online Business that works. 8. Domain Reseller : domain reseller business is another way to make money from website owners because they buy their hosting or domain registration from you while you get paid directly and based on the number of purchase. 9. Earn from YouTube : this is a system where you make money from videos you post on YouTube either through Google Adsense or product reviews. 10. Sell Online : to be candid, the best way to earn cash online or offline is to sell something or other people's product. Selling any kind of product or services brings direct money to you. This is a good, real and quick way of getting cash from the internet. Note : The best way to avoid getting scam is to avoid Get Rich Quick Scheme because there is no quick money but gradual.